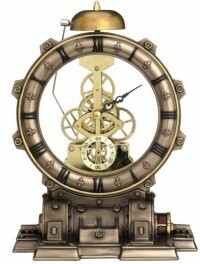 Very detailed steampunk designed faceless clock showing the clock mechanism with second counter and an hourly chime! The clock movement is fully functional. Takes AA battery (included), complete with instructions.